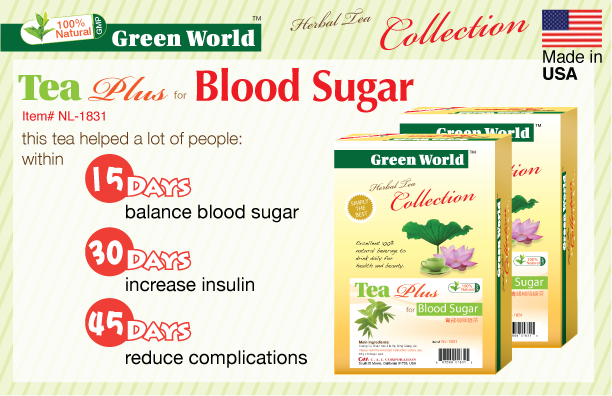 The miracle formula "Green World" Tea Plus for Blood Sugar not only helps to regulate blood sugar but also helps to restore insulin cells. 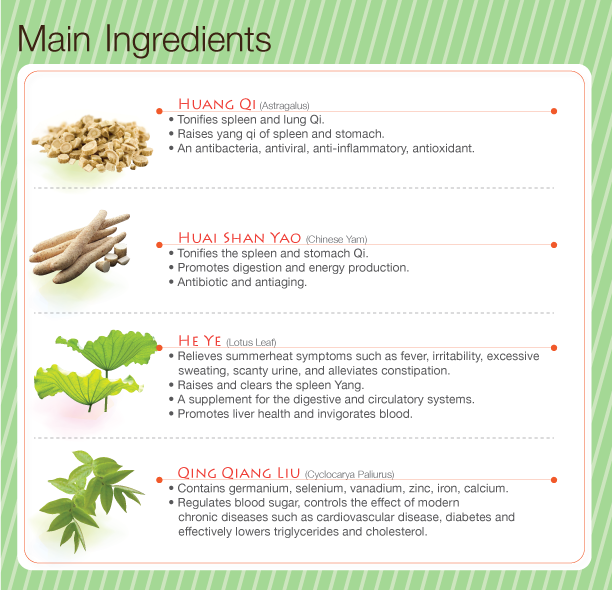 2 Main Benefits: 100% herbal ingredients. Safe for long-term consumption. 1. To balance blood sugar. 2. To restore healthy islet cells. 3. To reduce the complications of diabetes. 4 Main Ingredients: Huang Qi, Shan Yao, He Ye, Qing Qiang Liu. 97% of diabetics have diabetes-induced complications. 15% of diabetics will have deteriorating vision that can lead to complete blindness. 10-20% of diabetics show signs of renal failure. 50% of diabetics will develop cardiovascular diseases. Diabetes can cause acral necrosis due to prolonged disrupted blood supply. 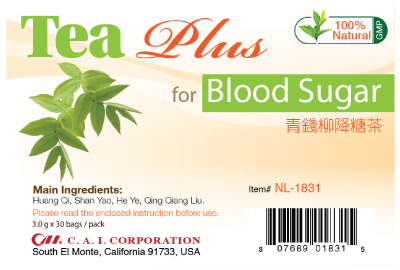 Effective regulation of blood sugar. Strengthening of abilities to process and utilize glucose. Restoration and protection of damaged islet cells. Simultaneous regulation of cholesterol and triglycerides. Maintenance of overall good health. Ketoacidosis (high concentrations of ketone bodies in blood, leading to increased acidity in blood). Heart disease, including heart failure, arrhythmia, angina pectoris (chest pain), myocardial infarction (heart attacks). Susceptibility to urinary tract, respiratory, and skin infections. Renal dysfunction, a cause of kidney failure. Neuropathy, including pain in the limbs, numbness, local muscle weakness, and muscle atrophy. Ocular lesions, including varying degrees of retinopathy, loss of vision, uveitis (red eye caused by internal inflammation), glaucoma, cataracts. Diabetic foot as a result of insufficient blood flow to the lower periphery. Once per day, after breakfast or lunch brew 2-3 tea bags with hot water (only) for 5-10 minutes and drink the tea warm. Please refill and keep drinking the tea 3 ~ 4 times or till the tea becomes flavorless. Do not drink the tea cold. Do not drink with an empty stomach. TIPS: Not suitable for people under 18 years of age, and women during pregnancy or breast-feeding. PACKAGE: 2.5 g x 30 tea bags / box.